Tim Holtz has teamed up with Core'dinations to bring you this collection of Kraft-Core Papers. This organic palette of colors is layered over a natural kraft core for the perfect time-worn collection. For distressing, simply sand or buff to reveal the kraft-core; an innovative blend of 24 rustic colors on natural kraft cardstock. 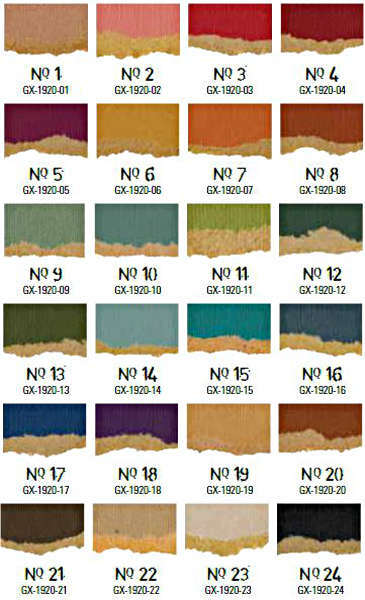 Give your projects that special antique appearance with this organic palette of colors.